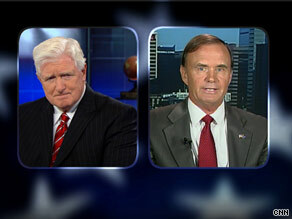 Rep. James Moran and Rep. Brian Bilbray sparred over calls by some Republicans for a review of the 14th Amendment. Washington (CNN) - Rep. Brian Bilbray, R-California, joined a growing crowd of Republican lawmakers calling for a review of the 14th Amendment Tuesday. Bilbray stopped short of calling for a constitutional amendment that would change the provision, which grants 'birthright' citizenship to anyone born in the Unites States, but told CNN National Political Correspondent Jessica Yellin that the law should be clarified. "We should clarify the fact that those who are tourists do not fall under the category because they cannot be tried for treason," Bilbray said on CNN's John King USA during a panel discussion. "Rich tourists shouldn't be able to come in and buy citizenship. That's what it's really about." But Rep. James Moran, D-Virginia, argued that the Republican lawmaker's motives are purely political. Marbella, Spain (CNN) - First lady Michelle Obama and her youngest daughter, Sasha, 9, are expected to arrive Wednesday on Spain's southern Mediterranean coast for a vacation with friends at a luxury hotel here. The White House issued a brief statement confirming only that "the first lady will travel to Spain for a private, mother-daughter trip with longtime family friends. President Obama will not be joining this trip. All activities are closed press." While the Spanish government also was not providing details, the hotel owners and just about every local politician in the resort of Marbella, famous for its jet-set image, were discussing the visit that is making front-page news in some Spanish newspapers. 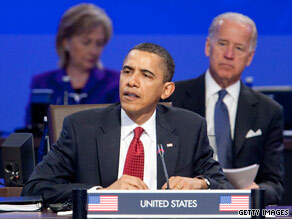 Should Obama drop Biden for Clinton in 2012? Former Virginia Gov. Douglas Wilder argues that President Obama should replace Joe Biden with Hillary Clinton on the 2012 Democratic ticket. Washington (CNN) – Should President Obama drop Vice President Joe Biden from the 2012 Democratic ticket and instead run with Secretary of State Hillary Clinton? That's exactly what's being argued by Douglas Wilder, the former Gov. of Virginia. "Clinton has been nothing but a team player who has earned good marks since being asked to serve as secretary of state. She has skillfully navigated the globe and been tough and commanding when the moment called for it," Wilder wrote in an op-ed published Monday in Politico. "Clinton is better suited as the political and government partner that Obama needs," Wilder argues. "I suggest this as one who vigorously supported Obama over Clinton in 2008. In fact, I campaigned across the country and engaged in spirited debates with former colleagues. I don't regret any of that. Yet, now I think Clinton brings bounty to the political table that few can match." Among the reasons Wilder sites in his argument to replace Biden is that the vice president is a gaffe prone liability. He also says Clinton might help Obama with key Democratic voting blocs. But Wilder's idea was quickly shot down Tuesday by White House Press Secretary Robert Gibbs. Senate Majority Leader Harry Reid shelved plans to vote on a slimmed-down energy bill Wednesday. Washington (CNN) - Senate Majority Leader Harry Reid shelved plans to vote Wednesday on a slimmed-down energy bill that Democrats had hoped to pass before the August recess. Citing unified Republican opposition to the proposal, Reid said, "It's a sad day when you can't find a handful of Republicans to support a bill that would create 70,000 clean-energy jobs, hold BP accountable, and look at a future as it relates to what BP did." However, Republicans blamed Reid for rushing through his bill and not first shoring up support across the aisle. 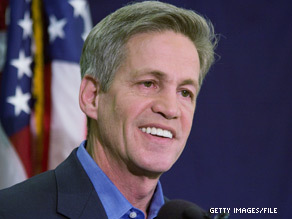 Former Minnesota Senator Norm Coleman will not attend the Republican National Committee's summer meeting in Kansas City. Kansas City, Missouri (CNN) – Norm Coleman will no longer be attending the Republican National Committee’s summer meeting in Kansas City, an aide to the former Minnesota Senator told CNN Tuesday. Coleman spokeswoman Liz Maruggi did not cite a reason for the change in plans. His decision to stay away from the meeting could be a sign that Coleman is trying to tamp down chatter about a possible challenge to chairman Michael Steele, after his early jockeying irked some RNC members. Coleman’s potential campaign for the chairmanship was floated late last month in a Politico article that quoted a Coleman confidante relaying the former Senator’s “strong and growing interest” in the RNC job. Coleman had also scheduled the trip to Kansas City to attend a reception for a friend, longtime New Jersey committeeman David Norcross, who is departing his post. Washington (CNNMoney.com) - Congress needs concrete plans for tax cuts, stimulus and deficit control because inaction dooms the economy to slow growth, a panel of economists told lawmakers on Tuesday. The economists, who testified before the Senate Budget Committee, had gloomy outlooks for growth in 2011, offering annual GDP forecasts ranging from 3% to 4%. "It's a disappointing recovery," said Simon Johnson, who teaches at the Massachusetts Institute of Technology's Sloan School of Management. "It's probably one of the slowest recoveries we've had since World War II." Joel Naroff, president and founder of Naroff Economic Advisors, predicted even slower growth of 2% to 2.5% - if Washington fails to make major "changes in fiscal or monetary policy." A new poll indicates that Republican voters in Nevada are more energized than their Democratic counterparts. (CNN) - Voter turnout could be crucial in the battle between Senate Majority Leader Harry Reid and his Republican challenger, Sharron Angle, and a new poll indicates that Republican voters in the state are more energized than their Democratic counterparts. According to a Reuters/Ipsos survey of Nevada voters released Tuesday, 81 percent of Republicans say they are certain to vote on November 2, 17 points higher than the 64 percent of Democrats who say they'll vote in the midterm elections. The poll indicates that Reid leads Angle 48 to 44 percent among likely voters. 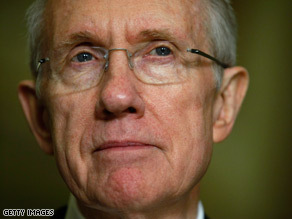 Among the larger poll of registered voters, Reid holds a 52 to 36 percent advantage. 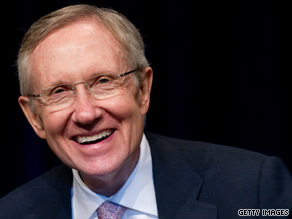 "He (Reid) is well within her striking distance," says Ipsos pollster Julia Clark. "I think this one will go down to the wire and it will absolutely depend on turnout." 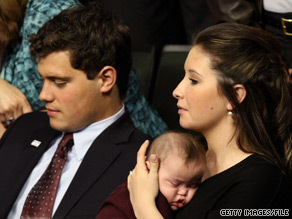 Bristol Palin has ended her engagement to Levi Johnston, People Magazine reported. (CNN) – Bristol Palin has called off her engagement to Levi Johnston, People Magazine reported Tuesday. "It's over. I broke up with him," Bristol Palin told People Magazine. Former Alaska Gov. Sarah Palin told the magazine her daughter has learned a valuable lesson: "to trust but verify." Last month, Bristol and Johnston became reengaged without first informing Sarah Palin. At the time, the Palin family issued a statement that stopped short of a full-throated endorsement. And in her statement to People Magazine published Tuesday, Sarah Palin made her wishes for Bristol known. "I wish for Bristol to be able to move forward in life with her same forgiving, gracious, optimistic spirit, but from henceforth she'll know to trust but verify. Bristol is strong, she is independent, and she knows what is right for her son," the former vice presidential candidate said. And as for the reasons, Bristol told People that a trip to Hollywood was the final straw. (CNN) - CNN Deputy Political Director Paul Steinhauser and Washington Correspondent Bob Costantini talk about primaries to watch; and President Obama's new campaign mode.